One of the great things about small towns is they seem to share a quirky sense of humor. I shared an example on my new “news and reviews” tab. Check out the Wabasha Herald story about my event there today and you’ll find some small town humor. Nothing like it. First Novels | Fall Fundamentals. Today, my debut novel was cited in the semi-annual list of notable debut novels recommended for library collections. 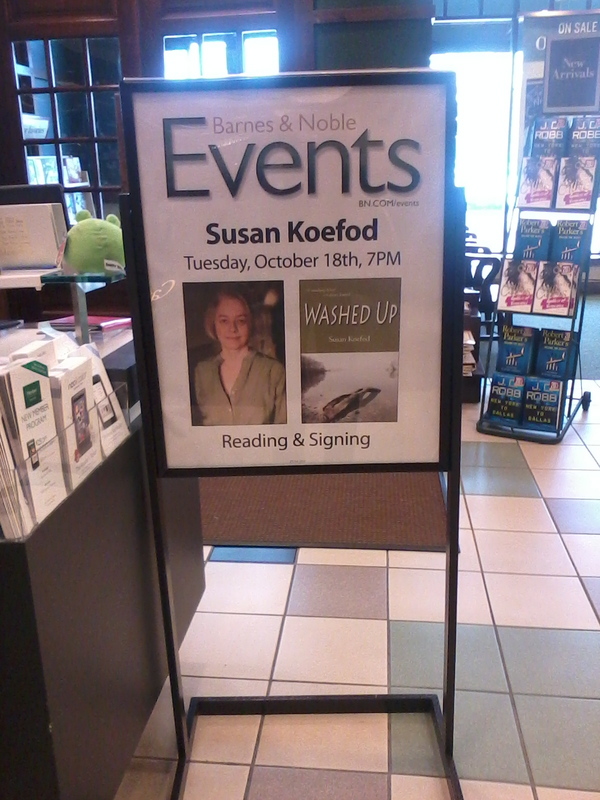 That makes it two months in a row that Washed Up has been noticed by a leading publishing industry trade journal. I’m so thankful to get listed not just once, but twice. Now that I’m getting my feet wet marketing my book (i.e., trying to get the book noticed among the thousands and thousands of choices readers have), I’m understanding better the tremendous odds my little book faces. So I’m thankful for every reader who buys the book, for every friend, relative, and fan who might have good things to say, maybe convincing another reader to read, and everything that helps my little book take its journey on the other side of the imagination. And especially thankful when the industry helps spread the word. The sequel is in the works, and news like todays really spurs me on. It helps me to keep believing in myself, in my writing, that I have learned how to imagine, craft and create a decent book. That people actually LIKE my writing is great. Today, I sat down for a one-hour interview by a respected, long-time, major Twin Cities newspaper book critic. We had a lively chat about my book, writing, mysteries, and life. We learned that we share deep, lifelong ties to our West Side neighborhood, St. Paul, and Northern Dakota county. It was nice to connect in that way. She wanted to know a lot about how it felt to have just published my book when a major news story broke on another, similar, sad murder. Even though I’d written about my feelings, it was hard to express what I felt in just a few words. I guess this is why I’m a writer. I’m more articulate on the page than I can possibly be in person. I need a narrative to organize my thinking. I need time to edit my babbling in order to make it coherent. So I did my best, off-the-cuff explanation, then sent her my blog link afterwards. : ) I’ll be interested to see how she distills our conversation, as to me it felt like I was all over the place. But she’s a pro, so I have no fear. The story she’s writing will appear in the October 9th Pioneer Press. How cool is that? Repost of an earlier note: Tom passed away this morning, peacefully. Our dear friend, Tom Johnson, died this morning. A musician, Tom led the Whiskey Sournotes, and the latest incarnation of that band included my husband, KK, who can be seen in the background on the drums. Tom’s persistence and encouragement brought KK out of retirement (so to speak) and back behind a drum kit. This alone is a remarkable feat as KK is a shy and in the background kinda guy, and much gentle encouragement and prodding was needed. I won’t say that I love the constant noise of drum practicing, which goes on in the basement at all hours, but music is very good for the hubby in many ways, and he’s good for music, so I am grateful to Tom for encouraging him and having him in the band for the past several years. One of the scenes in my novel, Washed Up, was inspired by a Halloween gig at the Eagles Club where the Whiskey Sournotes were performing. So even I have Tom to thank for inspiration. Beyond his musical talents, Tom Johnson had a generous and wise-cracking spirit that never failed to bring sunshine into a room. You couldn’t help but to smile when the big guy headed your way, giving you a warm greeting in his beautiful baritone voice. I still remember the first time I heard him speak on the phone (he was married to a coworker at the time), and I literally felt myself melting when I heard it. I wasn’t surprised to learn he was a singer and musician. That kind of voice has just one purpose. And Tom spent his life putting his voice to that use it was intended for. Even though we are losing him, I’m sure he’ll be much in demand in the next life – there’s not enough laughter in the afterlife I’m sure, not enough of his unique and salty baritone, and that’s why Tom is required there now. So we’ll have to let him go there because, well, they’ve hired him for a permanent stand, they are paying him with free beer and pizza forever and all he has to do is be himself: full of smartass, wise-cracking sunshine. Mystery Reviews, September 1, 2011. 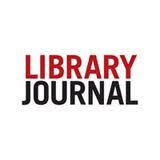 Just in case you missed it, here are the Library Journal review citations re my novel, Washed Up. In the print edition, the book cover appears next to the “quotable.” I am beginning to see libraries ordering the book – three systems in Wisconsin, various Minnesota library systems. Exciting to see and I’m hoping that the orders continue to come in as the word gets out and librarians read the review. Tomorrow I am off to the MBA with signing pens in hand. Should be just as fun as last night’s Twin Cities Sisters in Crime cocktail hour. Small presses are bringing out great titles: Red Hen, North Star Press, and John F. Blair have offerings that deserve greater exposure. I was enticed by Marcos Villatoro’s latest entry in his Romilia Chacón series, Blood Daughters, and debut novels by Susan Koefod (Washed Up) and Stuart Dill (Murder on Music Row). Give these new books a spin. A dead baby has been found on the shores of the Mississippi River by shy 11-year-old Abatha. Deeply traumatized, Abatha has been assigned a social worker, Christine Ivory, and in turn, Det. Arvo Thorson is waiting for his chance to question the girl. Christine, suffering from obsessive-­compulsive disorder, and Arvo, a morose alcoholic, grew up together in the Minnesota river town of Somerset Hills and have no use for each other, but the case’s urgency soon forces them to work together. Both puzzle over a meddling politician’s interest in the case; does her pressure signify more than a media moment for her? Then a cold case similar to this one breaks open the logjam, and all players become more desperate. Abatha is in danger now, and Arvo and Christine must trap the perpetrators posthaste. VERDICT A smashing debut with astute observations and gorgeous prose. The finale stretches credibility, but at that point you’re totally engrossed. Koefod has crafted a suspenseful thriller with pacing that mimics the river’s patterns and holds your interest right to the rapids at the end. Our dear friend, Tom Johnson, is nearing the end of his life. A musician, Tom led the Whiskey Sournotes, and the latest incarnation of that band included my husband, KK, who can be seen in the background on the drums.